Eko Farm d.o.o. 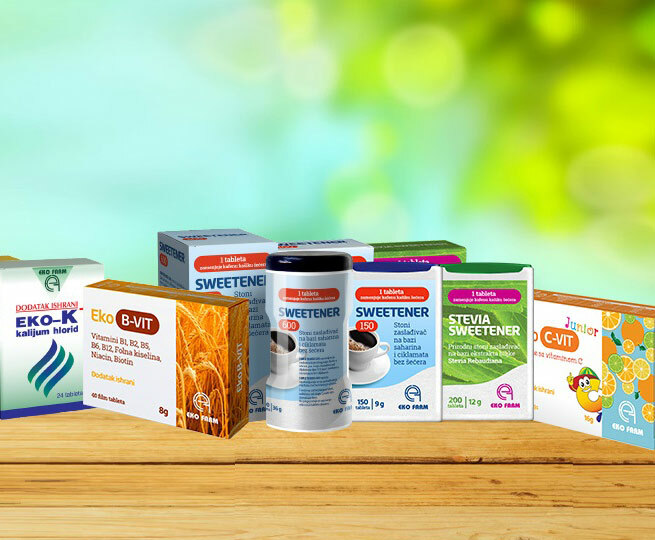 is a private pharmaceutical company, which for more than twenty years has been engaged in the production and distribution of dietary supplements and table sweeteners by its own recipe and methodology. 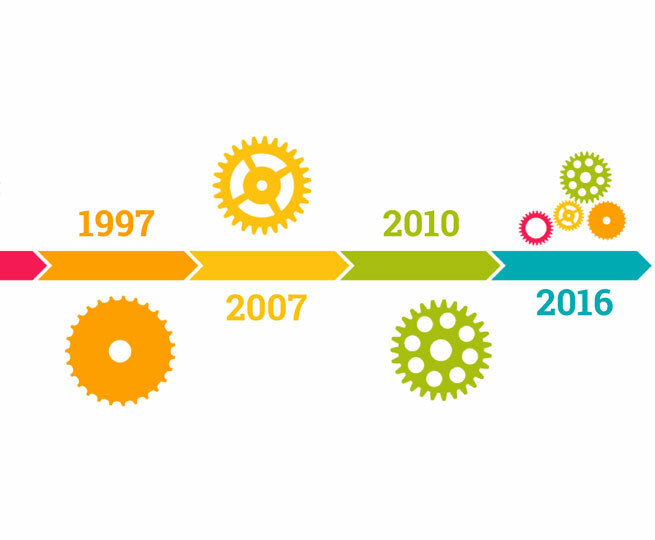 We entered the third decade of existence, which is why we are very proud. 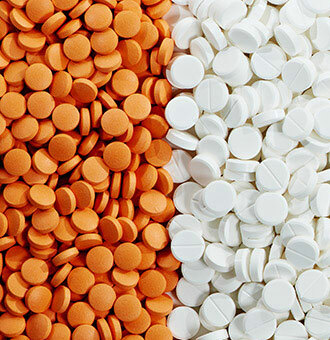 To make and produce a quality, efficient and safe product – this is our imperative. We have implemented ISO 9001 and ISO 22000, which is confirmed by the German TÜV SÜD. 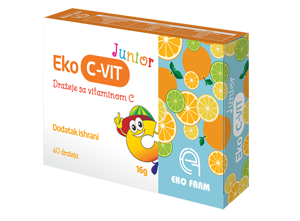 Eko C-Vit junior is a dietary supplement based on vitamin C, that is recommended for preschool, and school-age children. It contains the recommended vitamin C dose of 50 mg, which meets the children’s daily needs for this vitamin. Tablets are coated with sugar, and 100% natural orange flavor, which makes them easily acceptable for the kids – even for those with the most demanding taste. One of the main activities of our company for many years is the contract manufacturing. 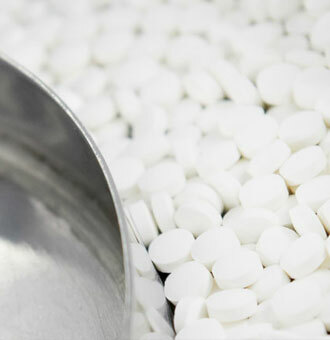 We have defined ourselves for the production of technologically most demanding solid pharmaceutical forms. 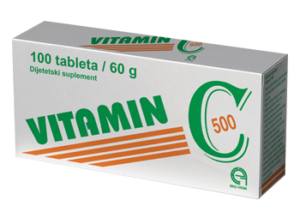 Vitamin C-500 is a dietary supplement based on vitamin C, which is essential for improving vitality of our body and it’s natural defense mechanisms. Without sufficient amount of this vitamin many physiological functions, such as growth and development, or antioxidant defense, would simply not be possible. It is an essential nutrient, which means that it cannot be synthesized by the body, therefore, it must be provided continuously through a healthy diet and dietary supplements, when necessary. 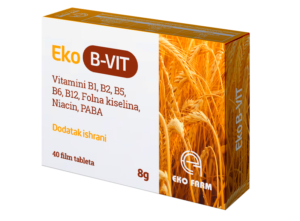 Eko B-Vit is a dietary supplement in the form of film coated tablets, that contain all eight essential B complex vitamins. You may wonder why all eight? Because, thanks to the synergistic effect, only in this exact composition these vitamins may achieve their full effect, which is participating in a number of metabolic processes, which helps create energy for the functioning of all tissues from ingested food. Change of seasons is an ideal time to catch a respiratory, or any other infection due to low immune function. Therefore, we should not wait for symptoms of cold and illness to appear, but think about the ways to prevent them, and to maintain health. A completely natural resinous substance, which is collected only by the selected worker bees, and whose beneficial effects have been used for thousands of years, can help us greatly. Maybe you have already guessed – it’s the bee propolis. 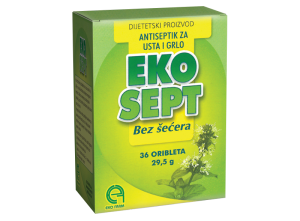 Ekosept is a dietary supplement based on sage and peppermint essential oils in the form of refreshingly sour tablets. Sage essential oil soothes irritation of the mouth, throat and vocal cords. It is obtained from the dried leaves of Salvia officinalis, commonly known as common or garden sage. 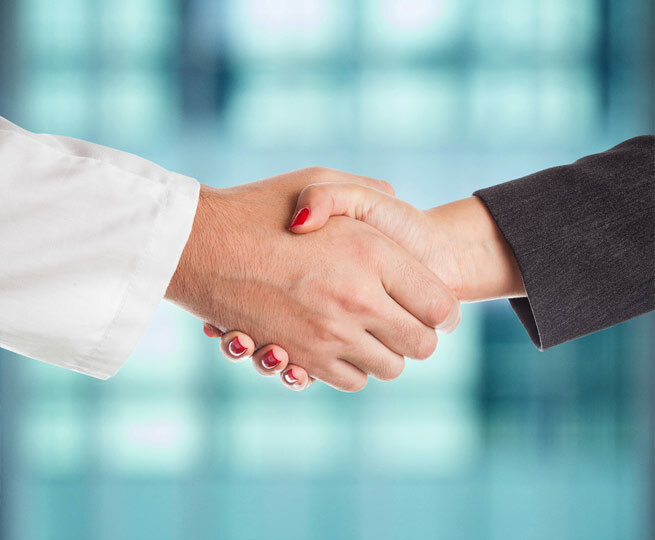 The name of the plant derives from the Latin word “salvare”, which means to treat, cure, save, and testifies to the long history of its medical use in human population. Carriers of the antimicrobial activity of sage essential oil are α-thujone, camphor, and 1,8-cineole. 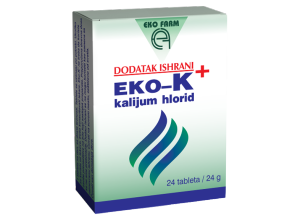 Eko-K+ is a dietary supplement that compensates secreted potassium from the body, which contributes to the proper functioning of nervous, cardiac, and muscle tissue, preventing the occurrence of muscle cramps.Each tablet contains 1 g of potassium-chloride salt, which is equivalent to 500 mg of potassium ions. Fatigue, exhaustion, apathy, shortness of breath, impaired immunity are all difficulties of modern life that we experience more often. 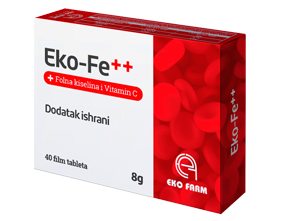 We attribute them to the urban, fast lifestyle, excessive work duties, nervous tension, irregular diet, and spending time indoors, not knowing that they often have quite another cause – the lack of iron in the body. 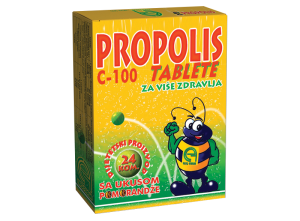 Propolis C-100 without sugar is a dietary supplement based on propolis extract of high biological value and vitamin C, which contribute to normal function of the immune system. 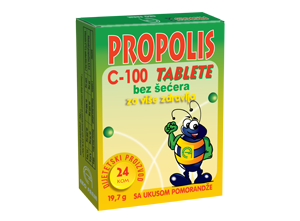 Propolis is a natural mixture of resinous substances, which is collected by honey bees (Apis mellifera) from different plant sources such as buds, leaves, and plant sap, and mixed with beeswax and other secretions. It is of great importance for bees, because it protects the hive from bacterial, viral and fungal infections, due to its antimicrobial activity. 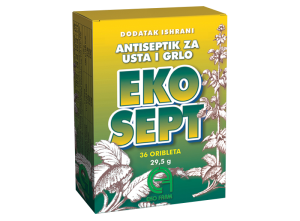 Ekosept without sugar is a dietary supplement based on sage and peppermint essential oils in the form of refreshingly sour tablets with low nutritional value. Their use is recommended to broad age group. Active ingredient in Ekosept without sugar tablets represents a combination of essential oils isolated from two plants from our regions – sage, and peppermint. 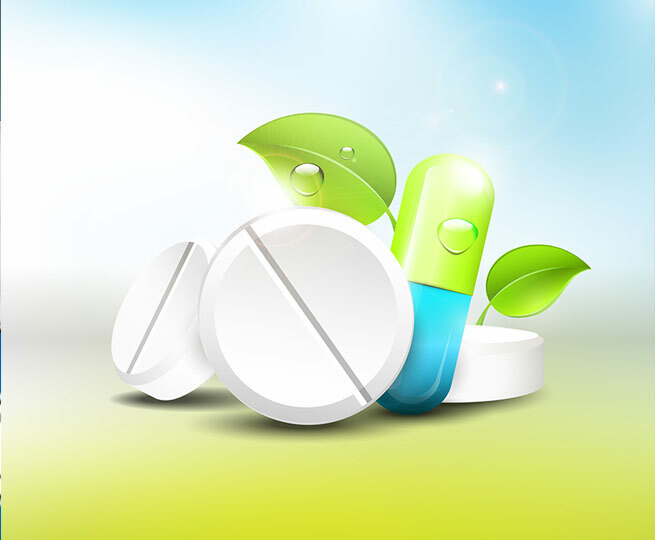 Their centuries-old successful use in the treatment of respiratory tract infections determined us to use their healing power in the form of orally dissolving tablets. 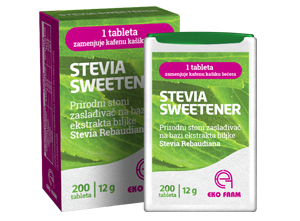 Stevia sweetener is a natural table-top sweetener based on Stevia Rebaudiana plant extract, standardized to a minimum of 95% Steviol glycosides – Rebaudioside A and Stevioside mixture. Steviol glycosides provide stevia’s sweet taste and have a 100% natural origin. They are produced in completely natural process, by extraction from dried leaves of the plant Stevia Rebaudiana Bertoni and subsequent purification. 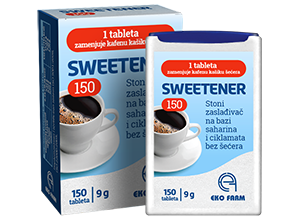 Sweetener 150 is a table top sweetener that contain a mixture of two artificial sweeteners – saccharin and cyclamate. 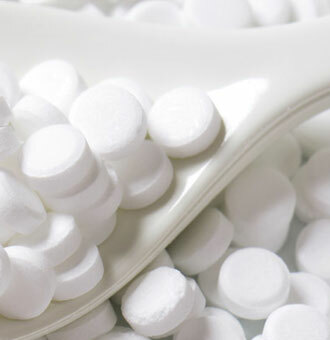 Saccharin is about 300 times sweeter than sugar(sucrose) and has no nutritional value. Cyclamate is sweeter than sugar(sucrose) about 30 times, also with no nutritional value. Used together in a suitable ratio, they mimic the taste of sugar, leaving no unpleasant aftertaste. One tablet equals the sweetness of one teaspoon of sugar. 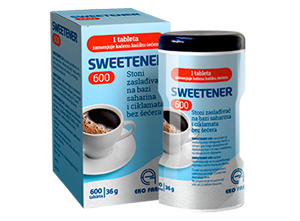 Sweetener 600is a table top sweetener that contain a mixture of two artificial sweeteners – saccharin and cyclamate. Saccharin is about 300 times sweeter than sugar(sucrose) and has no nutritional value. Cyclamate is sweeter than sugar(sucrose) about 30 times, also with no nutritional value. Used together in a suitable ratio, they mimic the taste of sugar, leaving no unpleasant aftertaste. One tablet equals the sweetness of one teaspoon of sugar.